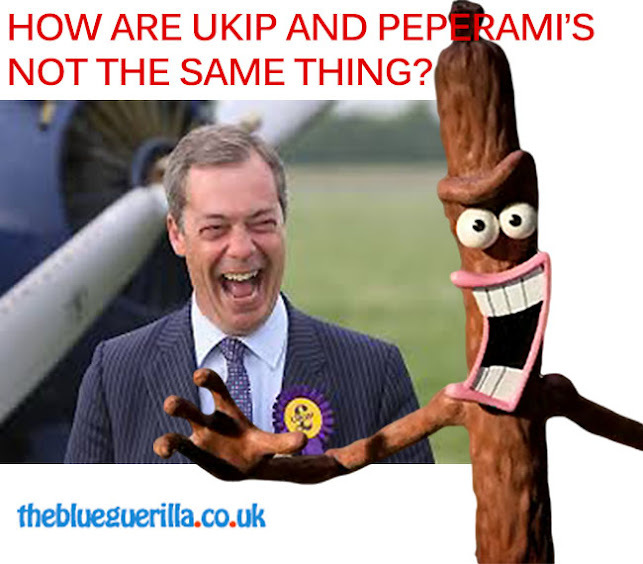 TheBlueGuerilla: EXCLUSIVE: Farage Euro Tour Finale Set to Take Place In Eastleigh. EXCLUSIVE: Farage Euro Tour Finale Set to Take Place In Eastleigh. It's as if Nigel's 'coming home'. Yes, TBG can sensationally reveal that according to leaked documents passed on to roving reporter Geoff Brooking, Nigel Farage will be holding his final Public Meeting of the European Elections at Eastleigh in Hampshire. The event is at 7.00pm on 20th May and is ticket only to members, supporters and their families for an online payment of £5. It is understood that all of the South-East candidates including Farage and Ray Finch will be there along with their former by-election candidate. The news comes on the same day that the UKIP Leader was forced to defend the use of strong arm bodyguards at such events.